You probably know Discover as a credit card provider but back in 2010 the company entered the student loan market. And in just a few years, Discover has grown its student loan portfolio by more than the combined portfolios of SoFi and CommonBond, two of the best student loan companies. 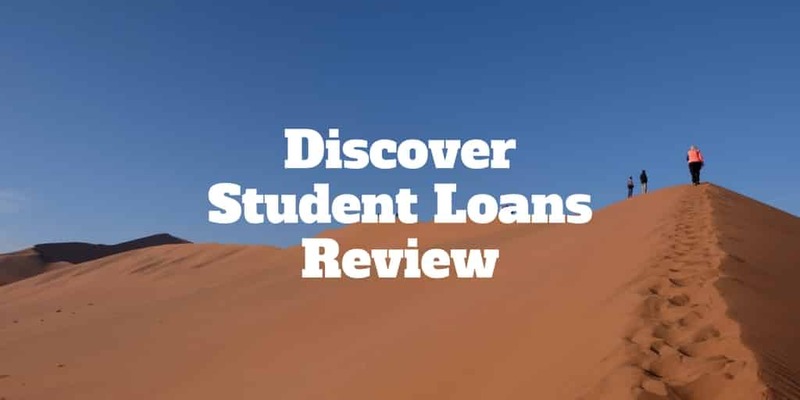 Discover Student Loans is designed for applicants who have very good credit, charges no origination fees, and will loan to borrowers amounts up to the full cost of education. If you have an excellent credit score, around 750 or above, and a co-signer willing to support your application, you stand a good chance of being approved. Even if you don’t qualify alone, you may be approved when a co-signer is added to your application. But before starting a student loan application with Discover, what else do you need to know? Discover charges no loan application fees, late fees or origination fees and has competitive variable interest rates. Before you start a student loan application with Discover, you should explore your federal aid options. It won’t cost you anything to submit your information to FAFSA, which stands for Free Application for Federal Student Aid. Federal student loan rates max out at 6.84%, which may be lower than the fixed rates you receive from Discover Student Loans. Variable rates are much more competitive if you are a highly creditworthy borrower but keep in mind that a Fed rate hike could push rates higher and lead to higher payment amounts whereas a fixed rate loan will lock in your rate for the term of the loan. Discover is attractive to students who get good grades too because a borrower who achieves a 3.0 GPA or better will receive a 1% cash reward on each new student loan within a fixed redemption period. During our Discover Student Loans review, we didn’t find any other private student lenders offering such an enticing borrower reward. Rather than spending the cash reward on entertainment or clothes, you could lower your overall debt burden by using the cash to pay accrued interest on your student loan. And unlike so many other lenders, Discover doesn’t charge any loan application fees, late fees, or origination fees. Discover charges no fees, rewards good grades, and connects borrowers only to U.S. based student loan specialists. When we compare Discover Student Loans vs Sallie Mae or Wells Fargo, the standout feature of Discover is zero fees. Another draw is that Discover rewards students for good grades whereas Sallie Mae does not. However, when you compare Discover vs federal student loan options, be wary of the longer repayment terms offered versus most other private student lenders. When you select a long repayment term, you end up paying more over time when interest compounds than when you select a shorter duration – sometimes even if the interest rate is lower on the longer duration loans. To highlight the value of paying off your loan sooner, imagine you had $25,000 in student loan debt at an interest rate of 8% over a 20 year term. If you cut the term in half to 10 years, it would cost you an extra $96.45 per month but save you $11,682.85 in extra interest payments over the life of the loan. You can play around with interest rates and term lengths to see how much you could save using Discover’s student loan calculator. Great Lakes services student loans originated by Discover Student Loans. It sometimes causes confusion among borrowers that after signing up with a student lender, like Discover, the name of another company appears on loan statements. The reason for this confusion is that third-party companies will generally service loans originated by student lenders. Student loan applicants who are approved by Discover Student Loans will see the servicer, Great Lakes, feature on financial statements. This is normal practice and nothing to be alarmed about. For example, CommonBond uses a servicer called FirstMark, a subsidiary of Nelnet while SoFi relies on Mohela. Whether in school or after school, Discover has a variety of repayment options from interest only payments to generous grace periods. When it comes time to repay your student loan, you can select among different options when you are both at school and upon leaving school. If you cannot afford to make payments while you are in school, you won’t be obligated to do so but interest on your loans will accrue regardless. Another option is to make a minimum payment of $25 monthly. Both of these options are standard among most private student lenders. Discover wins brownie points when it comes to grace periods after leaving school. For a period of six months, you can elect to pay interest only on your loan. If you need a longer period of time, you are permitted to take up to 12 months of forbearance, meaning that payment obligations are paused. Another alternative is to request a 3-month extension which may be granted provided your first payment is late by no more than 60 days. Discover awards students as much as $2,500 to pay for college after signing up to receive email updates. To possibly win a Discover Student Loans scholarship valued at $2,500, all you need to do is enter your email and contact number here. The Discover Student Loans Scholarship Award Sweepstakes are open to residents of the fifty states of the United States, the District of Columbia, and U.S. territories, who are at least sixteen years old. Annually, Discover gives away as much as $100,000 in scholarships, so if you are willing to sign up for e-mails with college tips, you may get lucky and have Discover pay for some of your tuition costs. No fees, cash rewards, and a discount when auto-paying are some of the reasons Discover earns high marks among consumers but tread carefully before committing to a long loan term. ✅ No Fees: Discover charges no loan application fees, origination fees, or late fees. ❌ Loan Durations: Loan terms span as much as 20 years, which can be alluring but ultimately result in you paying more. ✅ 1% Cash Back Rewards: Earn a GPA of 3.0 or above and receive cash back rewards of 1% that can be used to pay off interest and lower overall student debt. ❌ Loan Servicing Practices: Discover was found to practice illegal loan servicing activities between 2011-2014 by overstating the minimum monthly amounts due. ✅ Auto-Pay Reduction: Receive a 0.25% interest rate deduction when you select the auto-pay option. ❌ Fewer Protections: Private student loans have fewer protections than federal loans. ✅ Scholarship: A scholarship worth $2,500 is available when you sign up to receive emails with college tips. ❌ High Fixed Rate Interest Rates: Interest rates on fixed rate loans are generally higher than those offered by the federal government. ✅ CoSigner Support: A creditworthy co-signer may be able to help you to receive an approval even if you don’t qualify for a student loan by yourself. ✅ Generous Repayment Terms: No repayments are required in school and generous forbearance and grace periods are available after leaving school. ✅ Low Variable Rate Loans: Variable rate loans are highly competitive but exposes borrowers to risk from interest rate hikes by the Federal Reserve. Student loan debt counts among the largest financial burdens that any individual will shoulder. Before choosing a student lender, compare rates from other private student lenders and look to first max out federal aid options. Among the many private student lenders, Discover has unique attractions with its 1% cash rewards program for students who earn good grades of GPA 3.0. Discover also shines when it comes to fees, or lack thereof. Unlike many other lenders, you won’t be hit with origination fees, late fees, or loan application fees. However, be wary of signing up to the long repayment timelines on offer because you may end up getting stung with a significantly higher overall payment than expected when the magic of compound interest takes effect. The bottom line is if you are comparing student loans, Discover deserves to be on your shortlist of student lenders.